Can I select a print resolution by selecting a specific DPI (dots per inch) setting? No, the print resolution is determined by other driver settings. 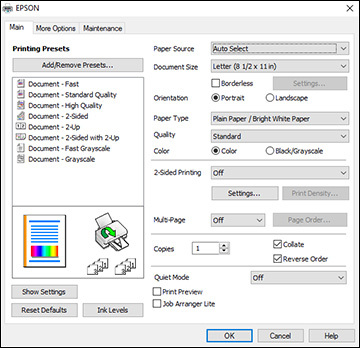 The Paper Type and Quality settings determine the print resolution. The Media Type and Print Quality settings determine the print resolution. 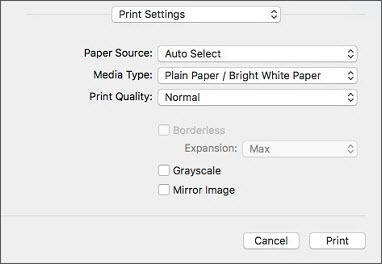 Note: To access the resolution settings on your Mac, select Print from the File menu. Then select Print Settings from the pop-up menu.